GeekVape Tsunami Pro is a 25mm RDA tank with large build deck for big coils and optimized airflow design. 3 colors. 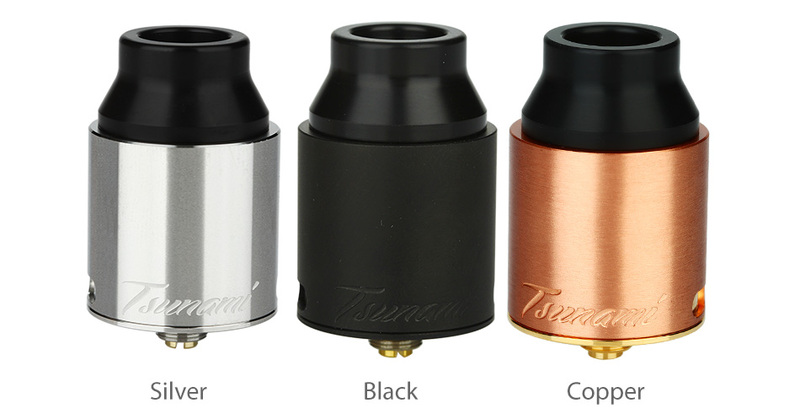 Tsunami Pro RDA by GeekVape, the same atomizer as that from Tsunami Mech Kit, comes with 25mm Velocity build deck allowing convenient build with complex coils. It adopts adjustable airflow in both single coil and dual coil setup, optimized airflow hole position and staggered inner chamber. 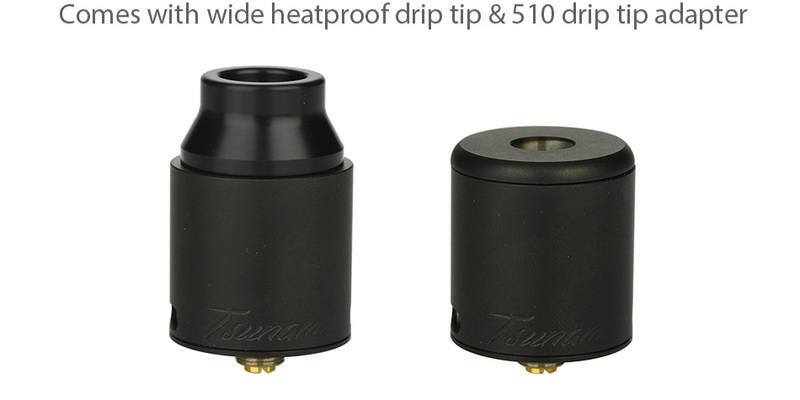 Moreover, the included wide heatproof drip tip & 510 drip tip adapter will fit your desire to use your own drip tips. 3 colors.